As most of you might know, moving houses always is a struggle and comes with a ton of decisions that have to be made. That being said, I never was a big fan of bulky closets and other things, letting you end up with narrow paths in a flat, which once was so spacious. Believe me, I know what I’m talking about. KWERQUS is a company, led by a group of young creatives, who have one mission: They deliver unique character to your living space. 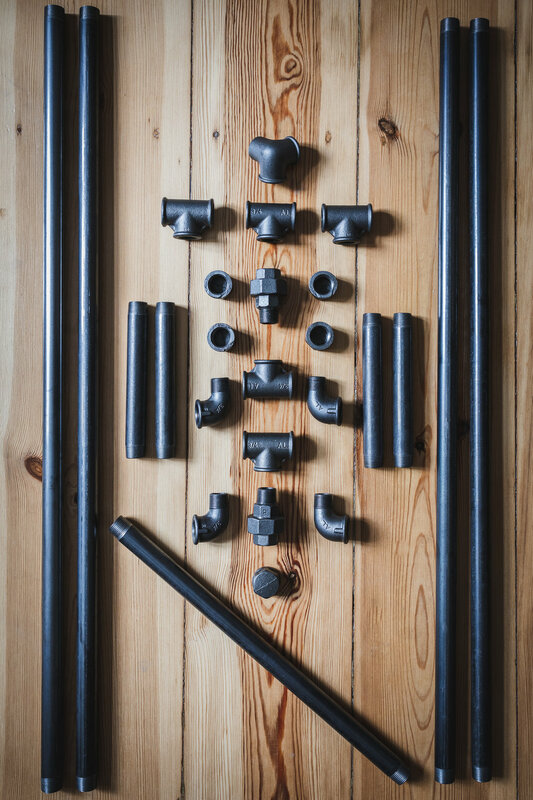 They have a wide range of innovative products, like industrial-styled clothes racks, shelves made from pipe frameworks and wood as well as individual products with an industrial touch to it. They offer a great variety of customisable styles and sizes for almost any type of space and taste. All this sounded like the perfect solution for my living and office space, so I ordered two of their bigger sized clothes racks, the FRANKIE as well as the ANDREW model. 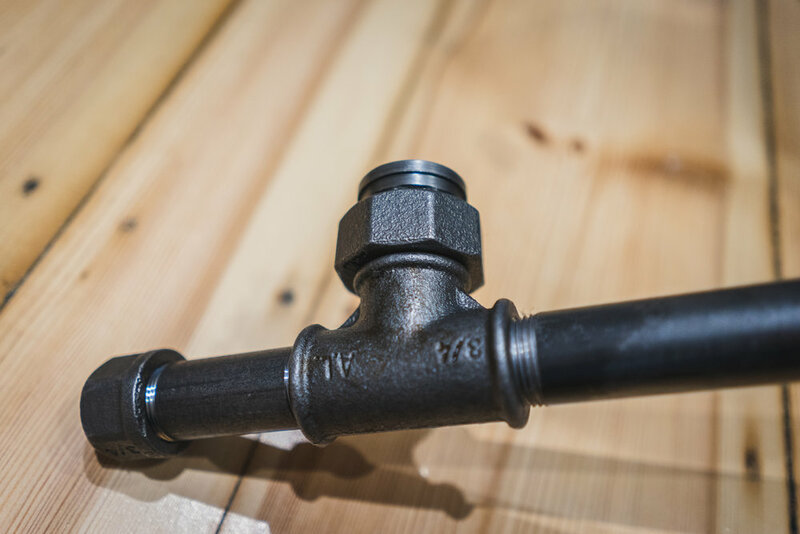 Each of the KWERQUS racks is made from metal water pipes and a selection of different connectors. They’re rock-solid and depending on the model you choose, they offer a great range of possibilities to store your clothes. In case you don’t find a model which fits your needs, you can always contact them via mail and they will be happy to find a tailored solution for you. First, you don’t need any tools, screws or other additional things in order to build this up. Also, you don’t need any professional knowledge at all, it’s really super easy and done with a lot of twisting. Lastly, the whole construction is extremely stable. This allows you to hang a lot of stuff on each of their models, including heavy coats and bags. 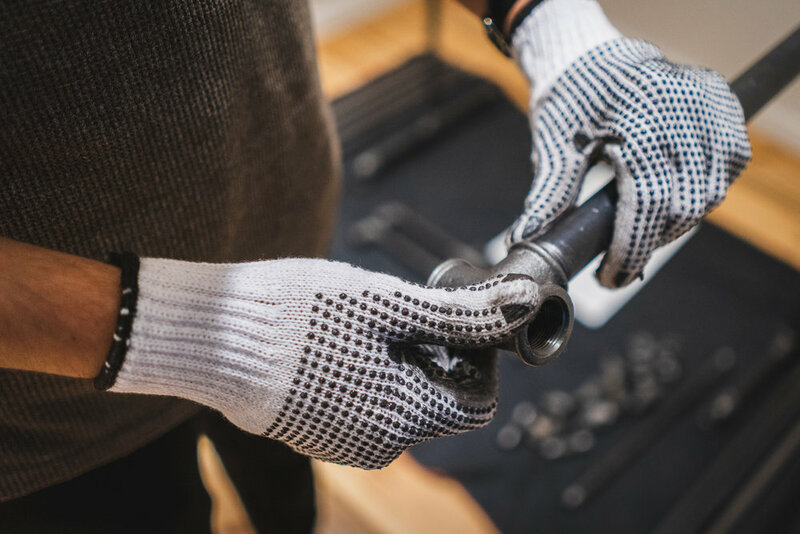 Included in every box delivered to your doorstep are the parts itself, a construction manual, a pair of grippy gloves for keeping your hands clean and last but not least, a white cleaning cloth to clean the pipes once everything is built up. The following slideshow shows a series of images, which document the setup of one of the two clothes racks within my office space here in Berlin. Feel free to click through for some impressions. All in all, I’m super happy with these two new design pieces and how they look inside the living and office spaces. They definitely add a special character to the room and offer a great storage solution without taking much away from the available room space. Everything stays clean and spacious. 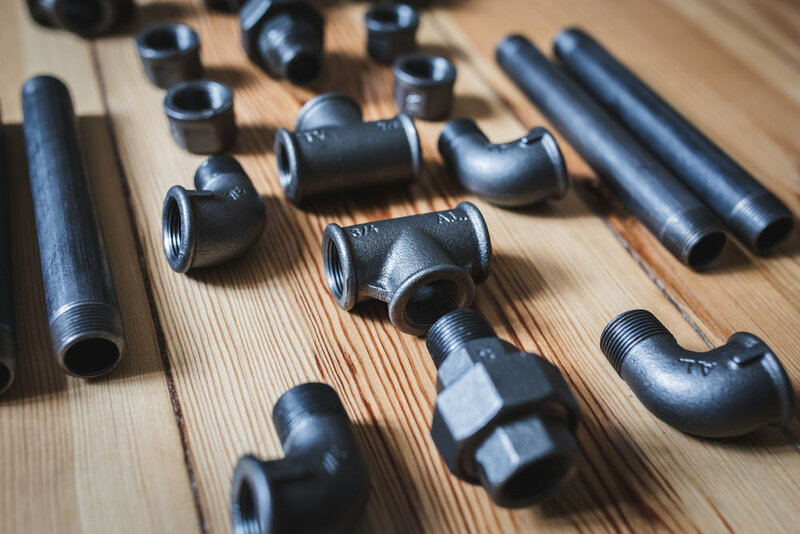 If you’re in search for a new storage solution or any other type of individual furniture product, make sure to head over to the KWERQUS website and check out their great offerings. For me this definitely won’t be the last purchase of them. Thanks for reading and talk soon.